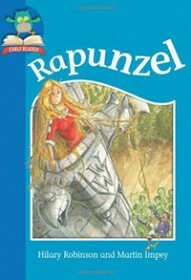 In this favourite fairy tale, the beautiful girl is locked in a tower by a jealous witch. She can only be reached by the witch climbing her long hair. Then, one day, a prince comes riding by. Will the pair ever escape the clutches of the witch?